This 12" x 12" wall hanging will be the perfect addition to your unique decor. 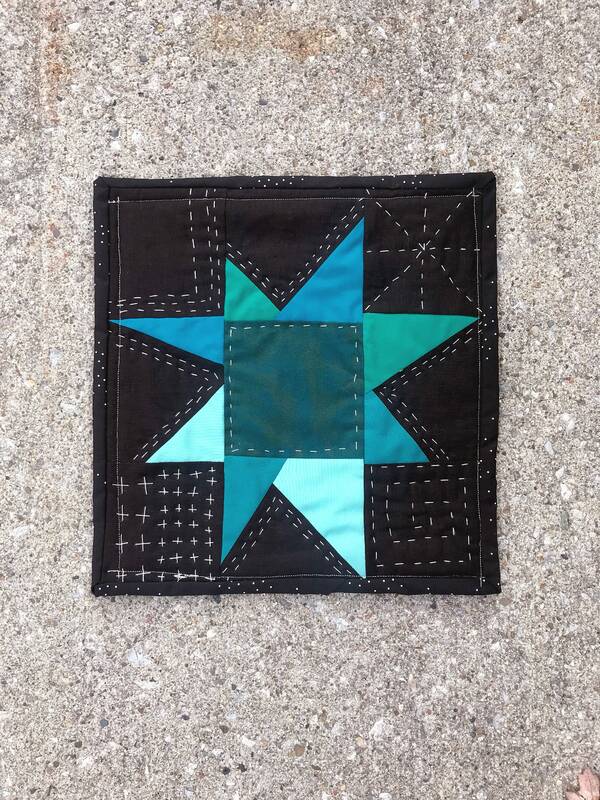 The star itself it 100% cotton in a few different shades of teal and aqua. 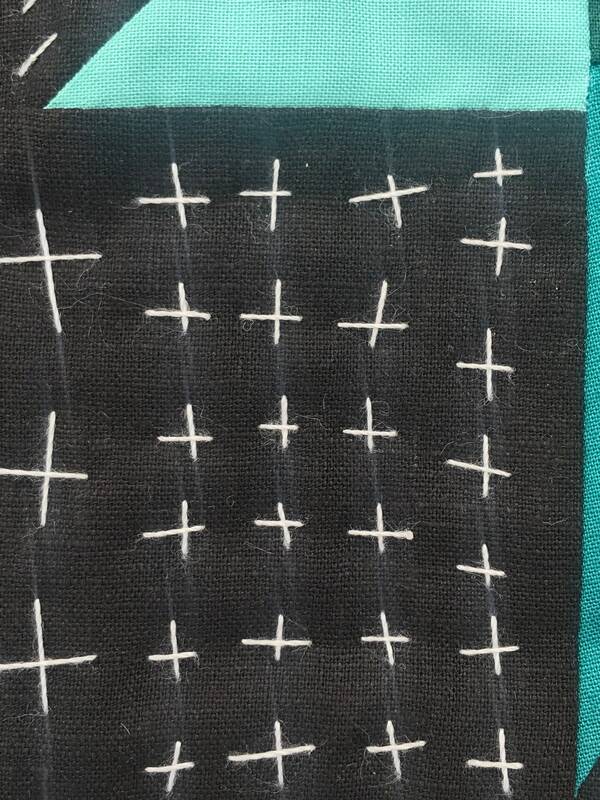 The black background is linen. 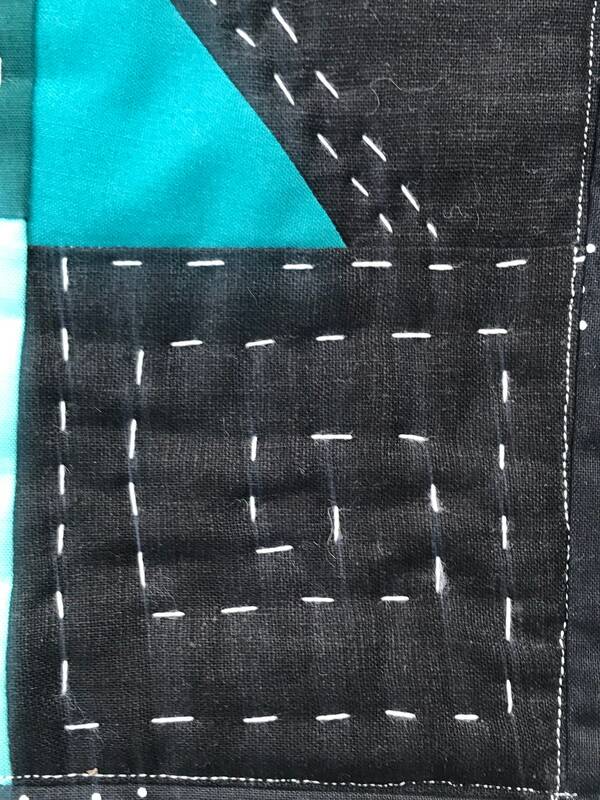 The mini quilt has been hand quilted with white cotton thread. 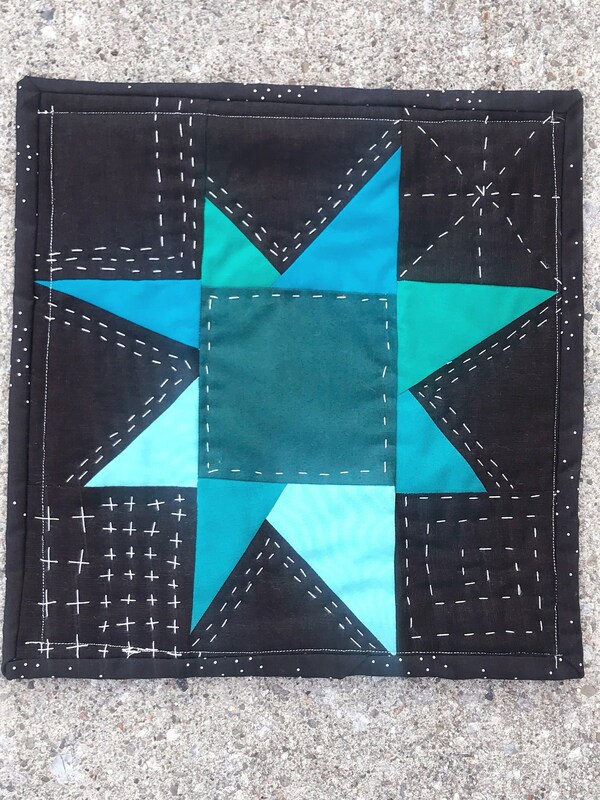 The back of the quilt has two wooden dowels that can be used for easy hanging. They are removable should you decide on a different way to display the quilt. Within 24 hours of payment I will be in contact with you regarding your order. Items will ship USPS Priority Mail. If expedited shipping, or international shipping is required it will be added to your order as an upgrade. If this is the case, please contact me so that we can discuss shipping costs and options. All ready-to-ship items will ship within 1-2 business days. I will email a tracking number to you once your item has shipped. 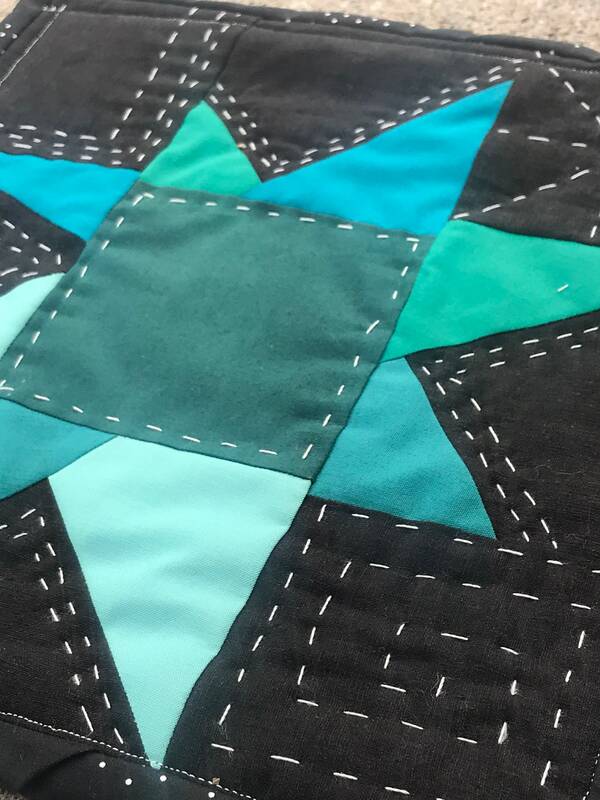 The completion time for custom ordered quilts varies based on complexity of the project. Please contact me for details.